You just want to go ahead and donate! None of this gift nonsense for you! Donate whatever amount you want, because you just want to see the Old King's Head back on it's feet! Saving the structure will cost over 2.1 million, so that's around £13 per brick. Your contribution is vital. You choose how much your sponsorship will be! Look snazzy with this custom made tote bag with artwork created by our own designer Sue Unsworth. The design on this bag was produced to match the inn's history of being on a bustling route. It reflects old railway posters, a sense of going somewhere. Our campaign to save the Old King's Head means that the journey of this fantastic historic building is not over yet! 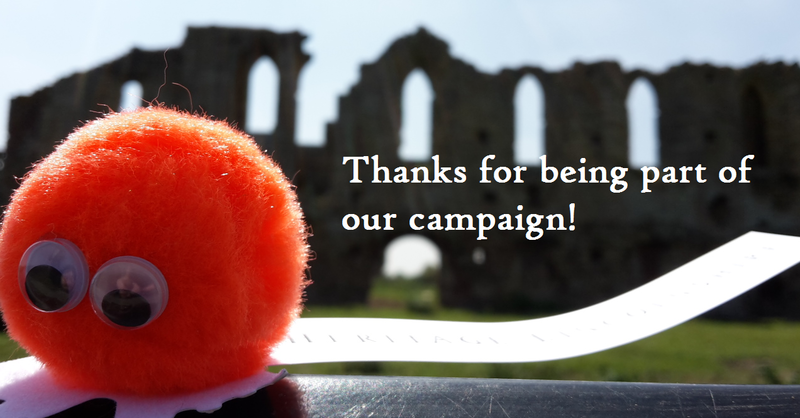 Donate £10 to receive a Save The Old King's Head tote bag designed for Heritage Lincolnshire's crowdfunding campaign. Emma Knight, a talented jewellery designer was inspired by our project and has designed these two pieces especially for you. *We have three shipping options. The cost to us as a charity to ship this item across to you is £2.40. However, we know that some donors will live locally and can collect their gift from us. Some of you won't be able to afford shipping. Paying it forward means that you are a part of helping others to be a part of our campaign and receive recognition for their contribution. We hope that this will mean that more people can get involved in our campaign and be part of the big Heritage Lincolnshire family. 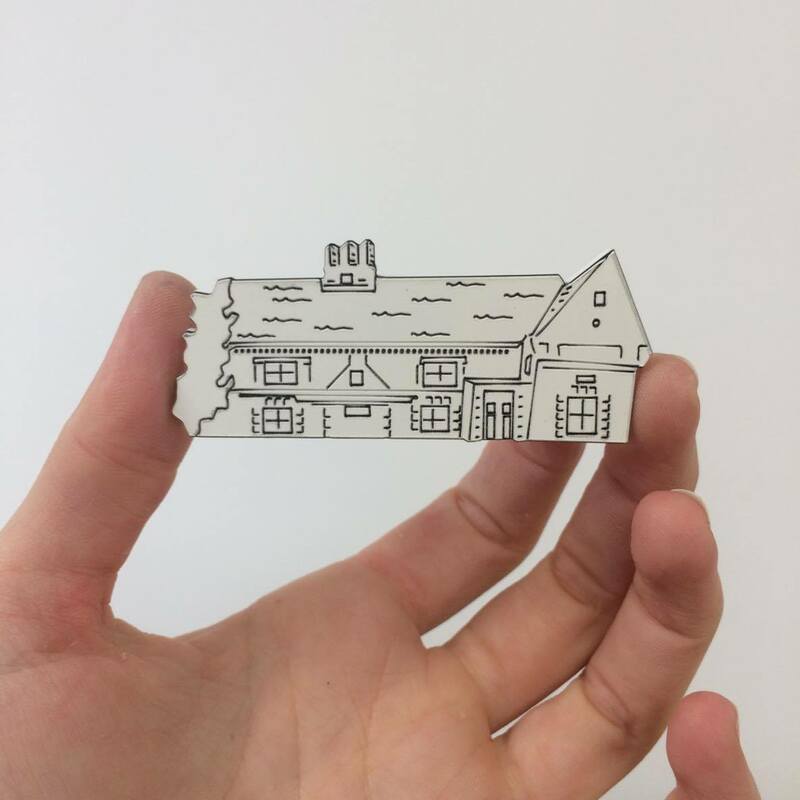 Thanks to your contribution we will be able to carry out extensive works not only on the structure of the Old King's Head, but also improve its outbuildings and accessibility. We are really grateful to everyone who agrees with us that this project is important and to thank you, your name will become a part of the Old King's Head. Allowing our heritage bug to carve your name onto the paving of our garden means whenever you or your friends visit the Old King's Head your support will always be remembered. This is a sure way for you to be an integral part of this campaign to save this wonderful building. In our courtyard our beautiful mural will celebrate your contribution to our campaign. Through this donation you will be making a significant contribution to this campaign, breathing new life into the heart of this rural community. Be part of our spectacular mural enshrining the history of Kirton and the Old King's Head. Your contribution will allow you to be a part of this beautiful piece of artwork which will be revealed upon the completion of the Old King's Head. Be among the first to spend a night in the exquisite and newly decorated Old King's Head. Your support is vital to our work to save this building. Thanks to your donatio n we will come one step closer to our goal. We would like to thank you for your contribution by inviting you to our champagne ceremony and the opportunity to spend a night at the sublime Old King's Head B&B. For the significant contribution of £500 we would like to express our gratitude by inviting you for a once in a lifetime exclusive stay at the new Old King's Head. 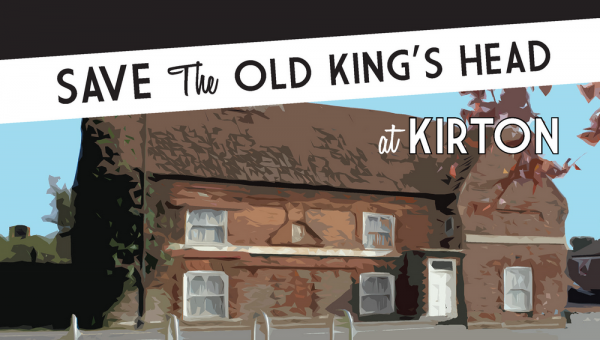 We invite you to join our crowdfunding campaign to save Tudor coaching inn, The Old King's Head of Kirton. The inn is a rare example of the Fenland Artisan Mannerist style, a building technique which reveals a unique history of the ebb and flow of Britain's people. The Old King's Head tells us about the forgotten importance of the road from London to Boston, once a hub for those who traded, travelled and warred by sea. Kirton, now a small village was once a hectic town, the third largest settlement in the county. The history of the Old King's Head and its custodians reflect the cultural heritage of the local area, prosperous landlords, vigorous rivalries, between the church, barmen and even their own clientele! So What's Next for the Old King's Head? Now the Old King's Head, still standing proud, is vulnerable to irreparable damage. Through grants we have so far raised enough to purchase and carry out two rounds of emergency works. But we need your help to make sure that the work we do is complete and this incredible building is restored to its rightful position at the heart of the village of Kirton. Your donations do not have to be huge, our aim is that through uniting many voices we can show that people care about seeing remarkable buildings being put to good use! Have your say: donate to our campaign. To learn more about our work to save the Old King's Head, check out our blog. To help us save the Old King's Head, choose your gift from below, follow the instructions and donate. We've had a great time getting here, now lets get together and Save The Old King's Head!